“A new study in the journal The BMJ finds that the risk of intracranial hemorrhage – bleeding that occurs in or around the brain – is increased when one combines antidepressants with non-steroidal anti-inflammatory drugs (NSAIDS) like ibuprofen or naproxen. Since depression and chronic pain often go hand-in-hand, and millions of people may take the two meds together, the study results are particularly relevant. …The researchers, from Seoul National University College of Medicine, looked at data from over four million people who had started taking antidepressant medication between 2009 and 2013. About half were also prescribed an NSAID, like ibuprofen or naproxen. The team used hospital records to see who was admitted for intracranial bleeding in the 30 days after being prescribed the NSAID. …It turned out that people who began taking both medications had a 60% greater risk of bleeding around the brain than people taking only antidepressants. There was no significant difference in the risk among the different types of antidepressants (SSRIs, SNRIs, and tricyclics). 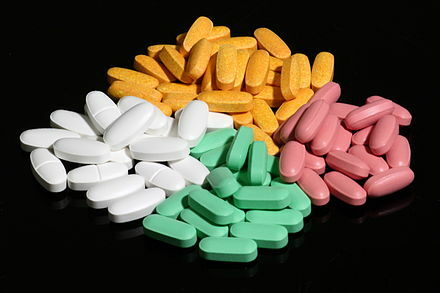 …The mechanism isn’t totally clear, but each medication appears to have an inhibitory effect on platelets, and each is thought to slightly increase the risk of bleeding on its own (for instance, SSRI antidepressants and NSAIDs are both known to increase the risk of gastrointestinal bleeding). Though neither medication by itself seems to increase the risk of intracranial bleeding, perhaps the two together may have a slight effect. …This study comes just days after the FDA strengthened its warning about the risk of heart attack and stroke from NSAIDs alone. The FDA notes that although heart attack and stroke risk may occur within weeks of beginning to take an NSAID, the risk is likely higher with long-term use. …Since depression and pain often go together, given their shared neurobiological pathways, the new study may be especially relevant. About 65% of people with major depression also have chronic pain, according to an editorial that accompanied the main study. …More work will be needed to understand the connection and all the mechanisms involved. In the meantime, if you’re on one or both of these medications, talk with your doctor about the risks, if you haven’t already, since he or she can give you more personalized advice. And as always, check with your doctor before going on or off a medication, particularly a prescription.